Cedar Cove Resort has been the hidden gem of Saskatchewan for over 30 years. This is the perfect place for anyone seeking a getaway to the lake. We have seasonal long term campsite rentals and the amenities you need for your stay including boat rentals and various other rental options. The convenience store offers all the items needed during your stay including a variety of clothing, food, beverages and more. 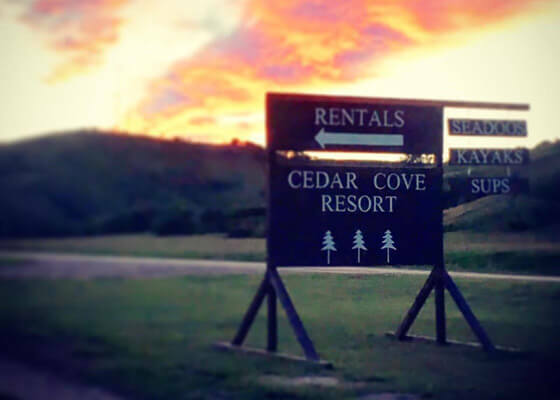 Cedar Cove Resort is seasonal opening May 1 and closing on October 1. We also have lakefront lots for sale if you want to own your own piece of paradise. 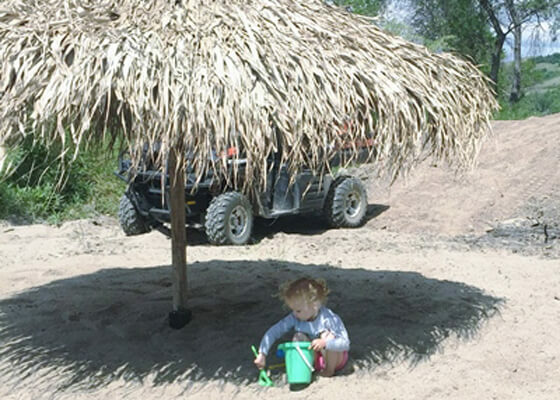 We are the perfect location for all season fun at the lake! Gorgeous sandy beaches with a gradual slope to the water for safe swimming and easy boat access and majestic views year-round. Everything you would want is within walking distance. There is something for everyone no matter what the season. Recreational activities include ATVing, snowmobiling, and hiking trails right from your doorstep. The avid outdoorsman will enjoy excellent fishing, with an abundance of Perch, Pike and Walleye. We are only 5 km from an 18 hole golf course. We offer an assortment of rentals including kayaks, paddle boards, sea-doos and fishing boats. The Store offers everything that you will need for your stay. Come on in to grab a coffee, ice cream or slushie & walk to the beach! We have beach items such as tubes, rafts, water toys, beach towels. Necessities and accessories are available such as premium fuel for boats, propane, trailer gear, fishing licenses, fireworks, home décor and hardware of all kinds. Stop by for hotdogs and pizza or an assortment of groceries you may need. Browse through an abundance of apparel including clothing, beach wear, flip flops, Sanuks, Rip Curl RVCA, and Hurley & of course Saskatchewan Roughrider gear. "Putting the Family Back in Vacation"